day-to-day activities involved in managing a sector wide education system. 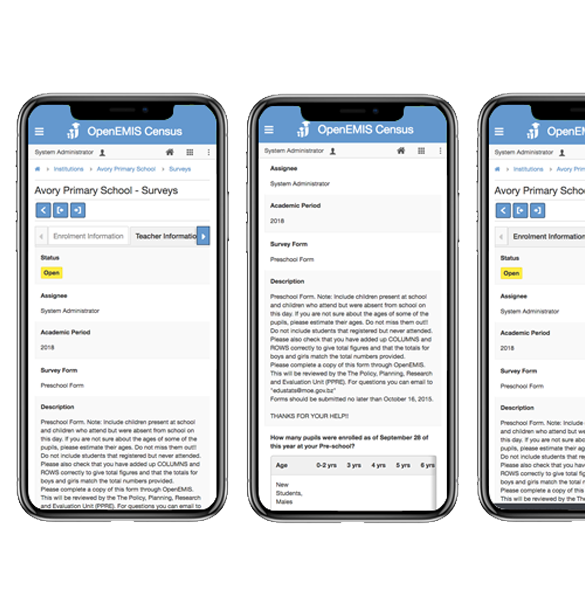 OpenEMIS Census is a sector wide Open Source Education Management Information System (EMIS) that facilitates the collection, processing and management of education information. OpenEMIS Census is a customizable web application that supports the day-to-day activities involved in managing a sector wide education system.